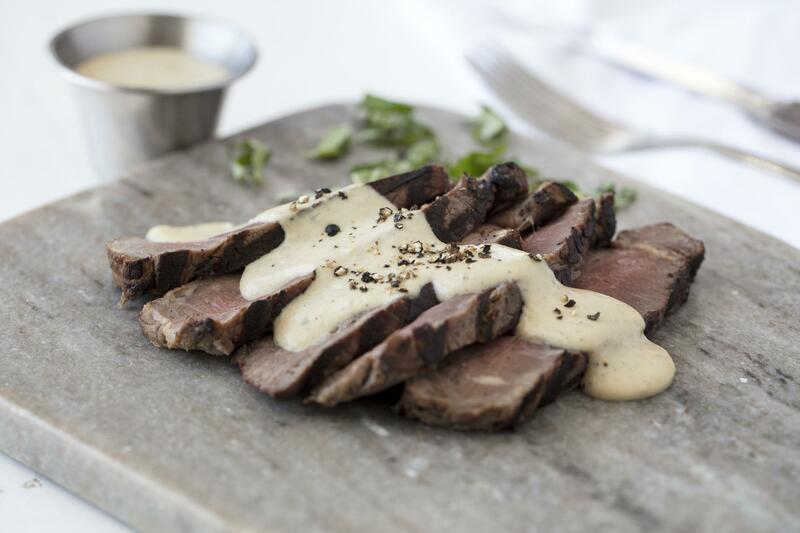 Horseradish sauce the Cypress Grove way: with Humboldt Fog®! Scorching the horseradish adds a smoky, charred depth of flavor. Perfection when served with New York strip steak, this sauce also plays well with chicken, pork, tofu, or veggies — or anything else you can think of! Line a sheet pan with parchment paper. Spread horseradish out thinly on parchment. Bake until dark and charred, but not burnt. You may also use a butane brûlée torch to do this, using a cast iron skillet in place of parchment and oven. In medium saucepan add scorched horseradish, cream, Humboldt Fog, mustard, salt, and pepper. Cook over medium flame until thickened enough to coat a spoon. Spoon over whatever your heart desires.